With the right programs in place, the next step is helping jobseekers find meaningful employment. EMSI provides a career services tool that directly links local jobseekers to your programs and let’s them access the EMSI’s in-depth, up-to-date data to find good jobs in your community. Career Coach is a very simple, easy-to-understand application that your college can place on its website. Here is how it works . . .
First, the tool lets students and local jobseekers search for jobs based on keywords. Once they type in any occupation, job title or description, the tool automatically helps the jobseeker with their search. After they find an interesting occupation, the tool generates 4 simple, yet invaluable pieces of data: wages, the local employment outlook, job postings, and the relationship between the occupation and your training programs. Earnings: Earnings tells the jobseeker if the job is worth their time and attention.Many times local jobseekers and students have no idea of the earning potential in different careers. This can serve as a great starting point and hook for your programs. Local Trends: Local trends tells you if the job is feasible.Career Coach uses EMSI’s vast labor market dataset and displays the total number of jobs and recent trends for the selected occupation. In a very simple way we help the jobseekers understand how many people actually do “X” in the area and if the job is growing, declining, or holding steady. Training and Education: What does it take for jobseekers to get into their desired occupation?With Career Coach we can either link our employment data to regional training providers or directly to a college’s program data so that anyone can see available programs connected to the occupations that interest them. This is a very valuable component because it helps establish the need for training once people have found the right career, and leads jobseekers straight to your door. Job Openings: Finally, this section helps to answer, “Who’s hiring?”The tool uses Indeed data, a comprehensive database of jobs for your area, to see what jobs are available. This data links to our occupation data, which connects to your programs. That’s what makes this tool so powerful — Career Coach gives jobseekers a new perspective on employment and leads them straight to you. What Happens When they Find A Job? Once a jobseeker finds a job, we make it easy for them to contact you about the appropriate training. In addition, if a jobseeker finds disappointing data for their occupation of choice, Career Coach can use the skill profile of the chosen occupation to generate a list of similar occupations to look for more job openings or stronger regional growth. Furthermore, Career Coach lets your staff link to more specific training to occupations, highlight specific occupations or programs, and look behind the scenes to see which occupations are most popular, and what training and education attract the most interest. 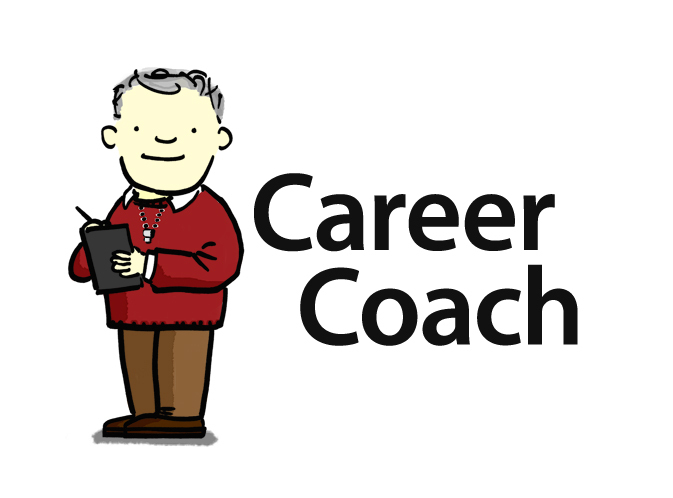 Career Coach’s simple interface and quick workflow will help you connect jobseekers to employment and training and gather essential data on the people you serve, so you can serve them better.